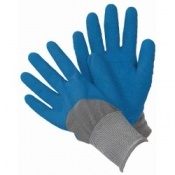 As gardening can often take place in unfavourable weather conditions, the B7501 gloves have been treated with a water-repellent finish to help keep out water. 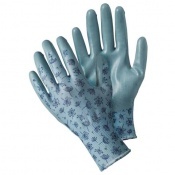 The waterproof nature of the gloves mean that you can garden when it is raining or following rainy conditions, and the gloves will also keep your hands dry while watering plants. 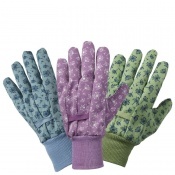 With gardening gloves are a necessity to complete any garden attire, this does not mean that they have to be dull. 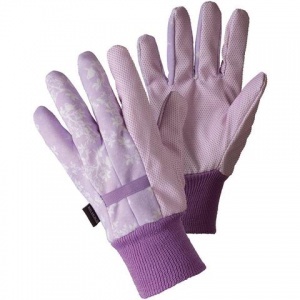 The Water-Repellent Gardening Gloves are pink in colour, and feature an soft and subtle pattern of birds and branches on the back of each hand. This makes them an ideal must-have accessory for anybody keen to add a touch of personality to their gardening attire.